Danny McCanney makes it two wins on the trot by dominating the Brass Monkeys Enduro aboard his TM300! The Manxman meant business from the very first test and eventually took a great 2-minute margin of victory from 2nd place rider, Alex Snow. Snow has clearly adapted well to his new Gas Gas and is turning heads this year already. With the absence of Dan Mundell (hand injury), who was 3rd at round one, it meant it would be another rider filling the final podium position this time around. In the end it was his Sherco teammate, Jack Edmondson, who would secure his first rostrum position of the season and bounce back from a disappointing first round. Daryl Bolter used his experience to ride sensibly and consistently and was rewarded with 4th position. Tom Sagar cemented his consistent nature by backing up his P4 at round one with a 5th place finish here and importantly more points in the championship after what he described as a day where he ‘couldn’t get a feel for it’. 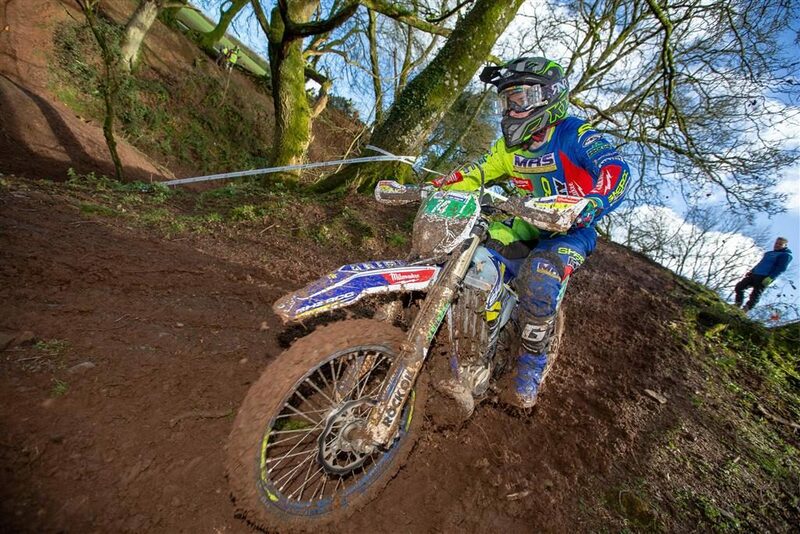 Tom Ellwood had a cracking ride to finish in 6th place on the Holeshot Kawasaki 450. It was a new winner this time out in the Expert class, and that came in the form of Harry Edmondson! He took his Beta 125 to his first day victory at a BEC. Aaron Gordon came home in 2nd aboard the 300 4t Sherco and took E2 honours, while Henry Yardley brought the 125 home in 3rd. Richard Tucker was 4th and also won the E3 Class on the 2t Sherco 300. 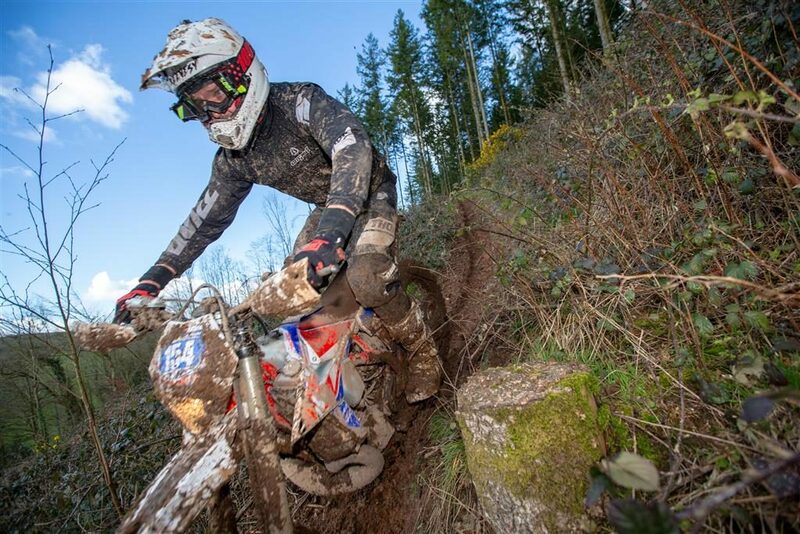 Three of these riders, Edmondson, Yardley and Tucker, will also be competing in the Enduro GP in Germany this coming weekend and will be among the many British names to look out for! Bristolian Alfie Webb. Remember that name because it is a name to look out for in the not so distant future! Webb made his BEC debut and smashed the Clubman Class. He even put in a few competitive times among the experts in the longer of the two tests. Behind him was round one winner James Palmer who had to settle for 2nd this time around after losing too much ground to Webb early on. Another name to remember is Mathew Harries who took 3rd place in his maiden voyage into the BEC ocean. 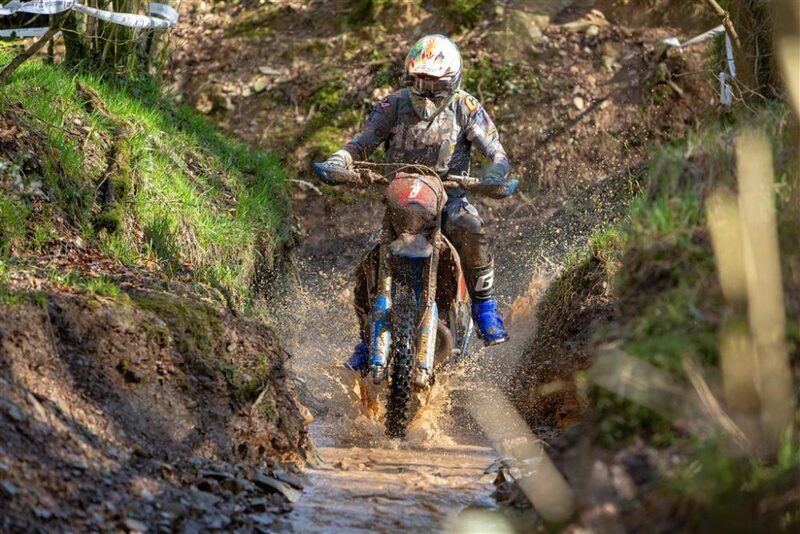 It’s great to see another wave of young talent coming up through the ranks in the British Enduro scene. 4th place was Josh Kirby and 5th Jacob James. Andrew Edwards brought his Beta home to a comfortable win in the Over 40 category. 2nd place went to Jon Tarr, a local rider supported by Wincanton Print Company & JT Commercials. 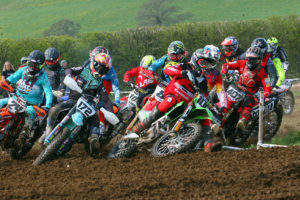 In third was Vincent Harker, followed by Andrew Reeves and Mr Gas Gas, John Shirt in 5th. In the Over 50’s it was another Manxman taking the class win. Russell Millward perfectly piloted his Yamaha to score maximum points and beat championship rivals, Richard Hay, 2nd, and local man, Gary McCoy, 3rd. Karl Greenhall followed McCoy home and Jack Twentyman from Cornwall was 5th! Mike Rodgers won the Sportsman class with Warren Slater 2nd.